Tell Out My Soul - St John the Baptist, Tideswell. The Story of Constance Coltman, first woman ordained in a UK denomination over 100 years ago -- and Joan, who was taught by Constance in Sunday School. Christian pioneer who started her own women's magazine. 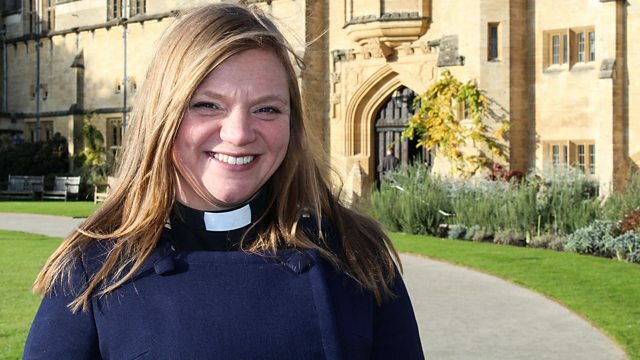 Josie d'Arby visits Hampton Court Palace to see a new discovery of Elizabethan Christian history -- an Altar Cloth made from clothing almost certainly worn by Queen Elizabeth I.
Kate Bottley meets URC minister Jenny Mills who was inspired by the life of Constance Coltman, and explores what being called to ordained ministry means today.